Maureen B. Keane is the best-selling author of Juicing for Life, What to Eat If You Have Cancer, What to Eat If You Have Diabetes and 12 other books on health and nutrition with almost 1.5 million books in print. 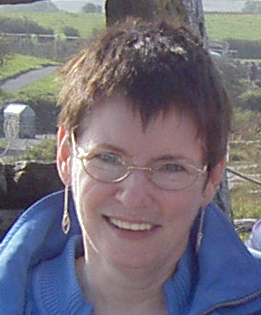 She also writes a monthly health column (Sláinte) for the Celtic Connection, a Pacific Coast paper. A native of Detroit, Michigan, Maureen received a BS in Biology from Wayne State University in Detroit. After graduation she worked as an industrial microbiologist and later as a research assistant at the Wayne State University School of Medicine. In 1978 Maureen and her husband packed their cat and infant son into the back seat of their car and drove across the country to their new home in Seattle, Washington where Maureen became a full time mom. Eventually she went back to school choosing Seattle’s Bastyr University for her graduate studies. She wanted a program that combined a scientific mindset with a whole foods approach to nutrition and she found it at the nutrition department of Bastyr University, the country’s leading center of natural health research. Maureen received her master’s degree in nutrition from Bastyr in 1991 and was invited to present her thesis research at the following year’s Annual Meeting of the Society for Nutrition Education in Washington D.C..
Maureen understands the situation of her readers who are burdened with chronic disorders such as cancer, heart disease and diabetes. After an erroneous diagnosis of cancer followed by months of chemotherapy and finally surgery, Maureen developed a number of chronic disorders herself that continue to challenge her today including pulmonary arterial hypertension and fibromyalgia. Maureen is a member of the Academy of Nutrition and Dietetics (the former American Dietetic Association) and Dieticians in Integrative and Functional Medicine. In addition to her books, Maureen has had a life long association with Irish dance. She is certified as both a teacher and an adjudicator by An Coimisiún le Rincí Gaelacha, the Irish Dance Commission in Dublin, Ireland and is presently affiliated with the Grafton Street Academy Irish Dancers in Seattle. Far from perfect, Maureen feels she is still a work in progress. She lives in a small town in Western Washington with her husband and cat and has an adult son in the “other” Washington.